There’s no place like home. 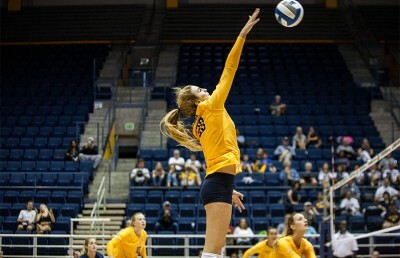 This was the feeling of the Cal volleyball team over the weekend, which returned to compete at Haas Pavilion after spending the last six games on the road. The Bears were welcomed back by the Cal Straw Hat Band, which put on a show as it welcomed back the Bears. “I love being home, playing in front of a home crowd and having the band back for the first time was all an amazing feeling,” said junior middle blocker Jenelle Jordan. The first match for the Bears came Friday against St. Mary’s, a team that was coming off a three-set loss against Washington. 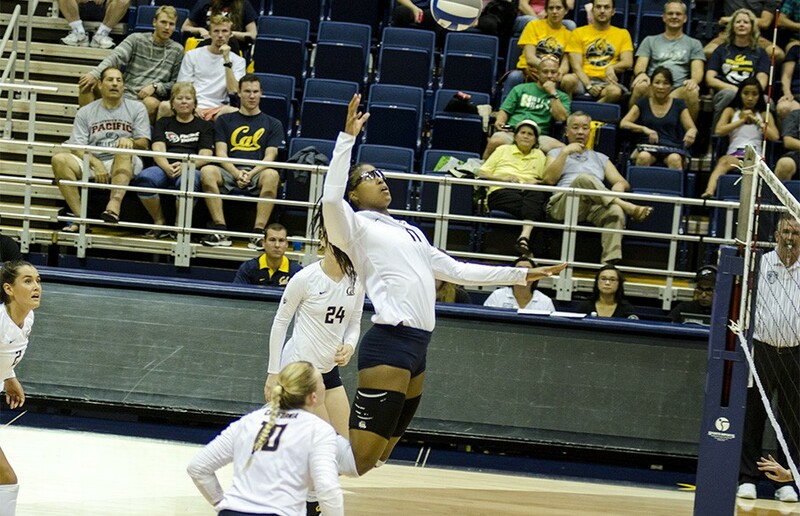 Cal put on a show for its fans, beating the Gaels in three close sets, 25-21, 25-23, 26-24. Outside hitters sophomore Christine Alftin and freshman Carmen Annevelink led the Bears on offense with 13 kills apiece. Liberos freshman Amanda Kirtley and junior Maddy Kerr did a great job for Cal on defense, each finishing with 12 digs. The Bears managed to hold off the Gaels and close out sets by finishing off vital plays and not allowing St. Mary’s to get back into the game. The second set was the closest, as neither team had more than a three-point lead at any given moment. 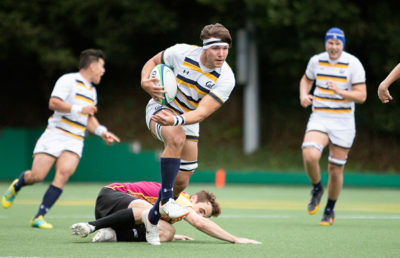 At one point, the Bears were down in the set, 20-17, but were able to score three straight points to tie the Gaels. Redshirt senior middle blocker Lillian Schonewise and Alftin then scored the final kills to take the set. Unfortunately for Cal, Saturday’s game against Pacific was a completely different story. 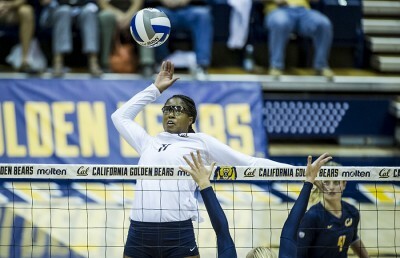 Cal was unable to defeat the Tigers, losing in three straight sets, 25-18, 36-34, 25-19. The Bears were led in this match by Annevelink, who finished with a team high of 11 kills. Schonewise followed right behind, ending the night with 10. But this unfortunately wasn’t enough to hold off the Tigers, who were explosive on offense all night long. “I thought in set one we came out a little bit flat and we let them run over us,” said Cal head coach Rich Feller. But the second set was the one everybody would be talking about after the match. The Bears and Tigers went back and forth with match points, taking the set all the way up to an astonishing 36-34, when it was all said and done. Cal blew four opportunities to win the set, and thus tie the game a set apiece, but was unable to perform when it mattered. “Those ones are tough, that was a really really hard fight so that set was a heartbreaker,” Schonewise said. This hard-fought battle motivated the Tigers in the third set, as they spoiled the Bears weekend homecoming by taking the third set, 25-19, and with it, the game. Cal will struggle against its Pac-12 competition if it is unable to close out sets like it failed to do against the Tigers. This is especially true when considering the fact that most of the Bears’ future conference opponents are nationally ranked, with most being in the top 25. But the Bears are still confident as they head into Pac-12 competition this week, even after coming off a difficult loss. “I firmly believe our team is capable of beating anyone we play on any given night. We just have to play with that intensity we played with in set two tonight,” Feller said.